I really started this book as an experiment. I saw it as a way to improve my familiarity with writing a book on Penflip before tackling a full-on novel for NaNoWriMo, which is only a few weeks away. However, despite the "experimental" nature of it, I also intended for it to be a real resource for anyone interested in this topic. 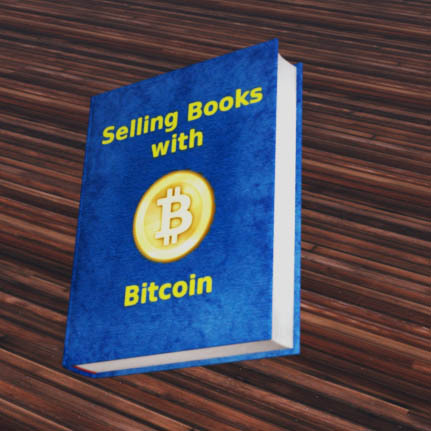 I haven't decided yet whether I will do anything more with Selling Books with Bitcoin. It might just stay on Penflip, or I might polish it up to be published on other platforms (Kindle, Kobo, etc.). Because it is set up as a public project on Penflip, you can not only read this new book, you can edit it. More accurately, you can make suggested edits, and it's up to me whether I want to incorporate your changes into it. If you happened to read I Might Flip for NaNoWriMo 2015 earlier on this blog, you'll know that I used the same collaboration feature to bring content from someone else into the draft of that post. So, if you're curious how Penflip works, feel free to "clone" my project, make some edits, and then submit those to me. Whether or not you try to edit it, I hope that you find some value in the information I've assembled in the book. If you were already interested in Bitcoin, the book might help you move forward. If you weren't already looking at accepting Bitcoin for your books, the book might at least get you thinking about it. As always, I am open to your comments, questions, and critiques!